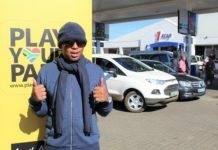 The day that Vusi Shabangu was handed the keys to his new home was the best day of his life. 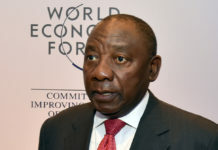 Early in March he moved into a two-bedroom house in the Cornubia housing development outside Durban, a place where a single room was larger than the shack he had called home. In 1995, excited by a new democracy and the promise of opportunity, Shabangu moved from rural KwaZulu-Natal to Durban in search of a better life. For almost two decades he worked as an itinerant labourer, moving from one backyard room to a shack in one of the informal settlements that ring eThekwini. It does not matter to Shabangu that he is resident in a landmark development; all that matters to me are the keys in his hands. Along with the keys, he gets to enjoy the parks and recreation, and communal hall as well. 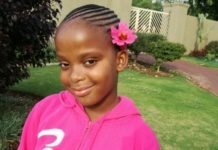 He will grow to appreciate the fact that Cornubia – which will be renamed on April 1 by President Jacob Zuma when he hands over keys to the next bunch of residents – is designed as a community with schools, clinics, recreational and shopping facilities. Work opportunities are also easily reached by the new mass transit routes that are part and parcel of the infrastructure improvements included in the design. Cornubia is being created by the eThekwini Municipality and agriculture giant Tongaat Hulett. Once completed – expected to be in 20 years – the mixed-use development of housing, commercial and industrial sites will change the skyline between King Shaka International Airport and Umhlanga. Social and environmental sustainability are important considerations for Tongaat Hulett, and the buildings going up in the commercial and industrial sections are designed to be environmentally sensitive, and totally green where possible. “There are, however, financial limitations which restrict major green interventions in the subsidised housing components of the project. However, Tongaat Hulett where appropriate is encouraging the adoption of these principles. 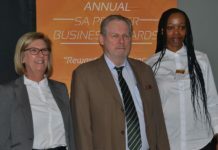 Unfortunately, for now, this will in all likelihood only take place in the higher intensity commercial/mixed-use areas like Cornubia Town Centre,” Petersen says. By the time the R24-billion site is completed in 2030, the 1 200ha property will consist of 24 000 housing units, of which 15 000 will be low cost homes; there will be 2 million square metres of commercial space and an 80ha industrial development. The construction phase will create up to 15 000 new jobs, while the completed development will create space for about 48 000 permanent retail and industrial jobs. Residents will contribute about R300-million in rates to the eThekwini coffers and a further R2.1-billion in VAT receipts for the national fiscus. Cornubia is important for the potential benefits it will create in housing, employment and economic opportunity. 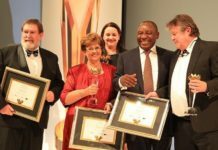 It represents a shift in thinking in the housing programmes of local and national housing departments and is proving to a benchmark for future development in South Africa. To promote the creation of vibrant communities that have access to adequate social and economic facilities, the government agreed that the former Department of Housing should have its mandate widened to facilitate sustainable human settlements. In addition to housing, the new mandate includes integrated provision of services, social facilities and economic opportunities. 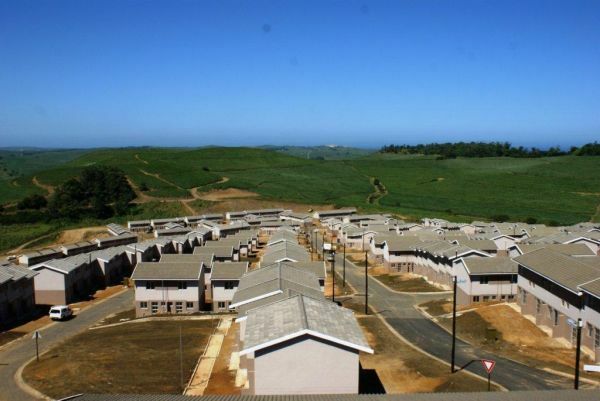 Taking a leaf from the National Treasury’s successful public-private partnership unit, the department has also been more receptive to working with the private sector when building new housing. Petersen says Tongaat Hulett refers to Cornubia as “a joint initiative or collaboration between public and private sector partners”. It is built on land acquired from Hulett at below market rates with the understanding that it will be used for low income housing. When negotiations began for a new political dispensation in South Africa, there was a backlog of 1.3 million homes. Each year, the demand has grown by a further 200 000 with just 50 000 new homes being built to meet the demand. From 1994 onwards, through the Reconstruction and Development Programme, the new administration began building homes at a rapid pace. 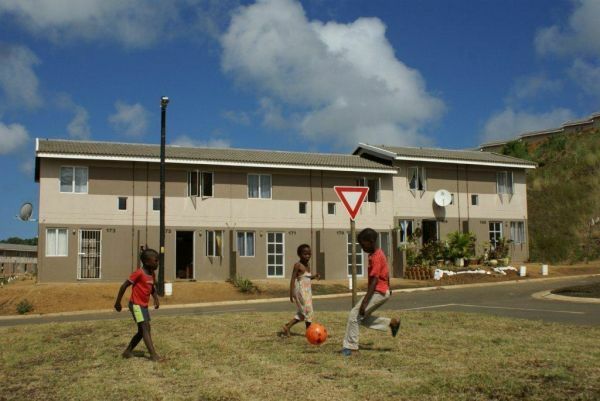 To date, 2.68 million homes have been built, providing accommodation to 12.5 million South Africans for the first time. Critics of the RDP build have slated the poor build quality of these houses. Their biggest complaint though, has been aesthetic; RDP homes resemble the building programmes of the apartheid government – bleak, massive settlements far away from work opportunities, decent public transport and retailers. Containing the growing backlog while meeting existing demand meant “good design” and “communities” were concepts that were not considered. However, in the last few years there has been a growing recognition that it’s not just houses that need to be built, but communities and places where people want to live. Cornubia is one of four projects nationally that signal this shift in the way the Department of Human Settlements views development. It was one of the first when construction began in March 2012, in line with the department’s Breaking New Ground policy. Nationally there are two other projects that are close to receiving the first group of new residents. 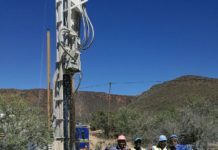 In the Waterberg District, the Lephalale Project’s 29 709 houses are being built adjacent to a retail and commercial precinct. It has been fast-tracked to deal with a housing backlog aggravated by the influx of workers to the Medupi Power Station, which is 21 kilometres away.